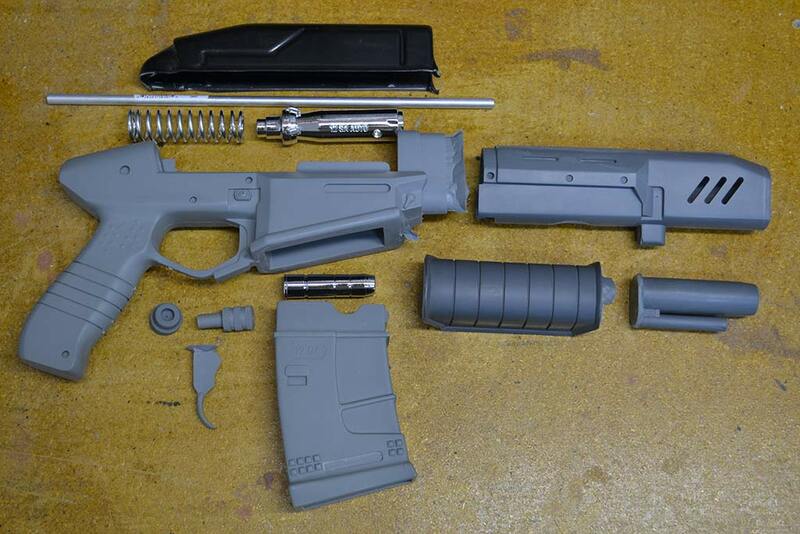 One complete kit for the Cyberpunk 2077 “Militech Crusher 12ga SMG”. 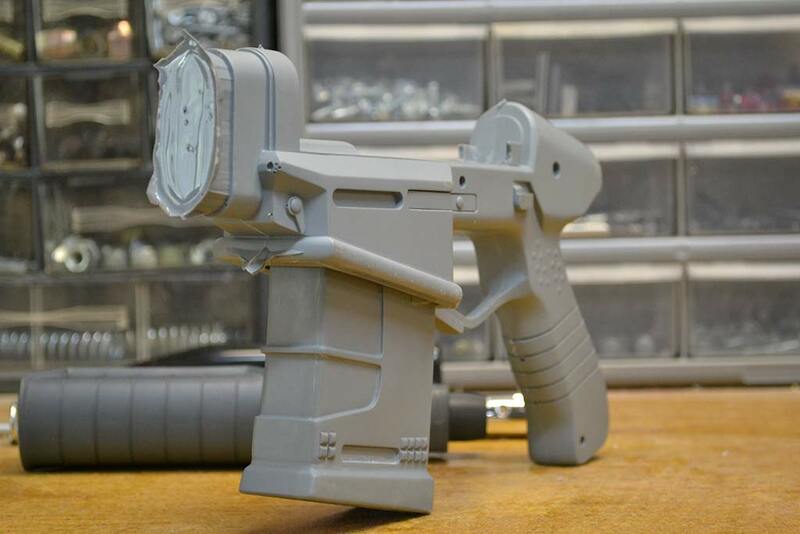 This kit is composed of 10 cast urethane parts which make up the bulk of the gun. 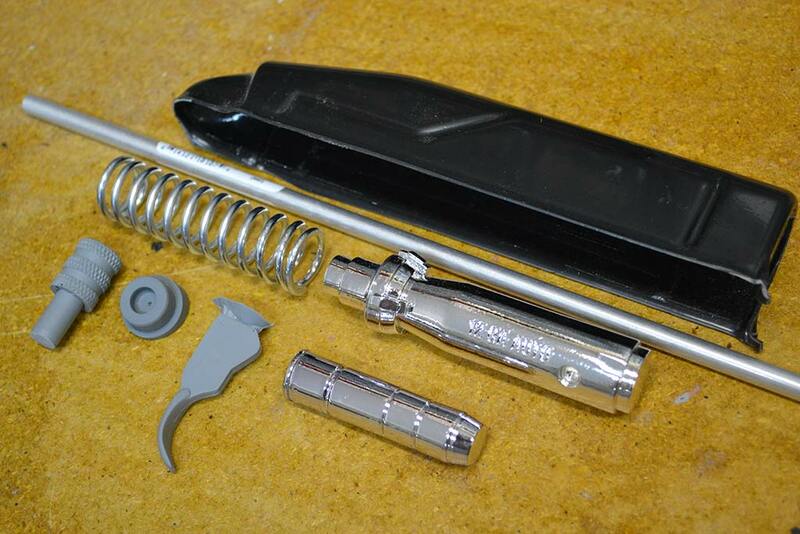 The upper bolt cover is vacuumformed plastic, and this kit also includes the chrome spring needed to complete the bolt assembly. 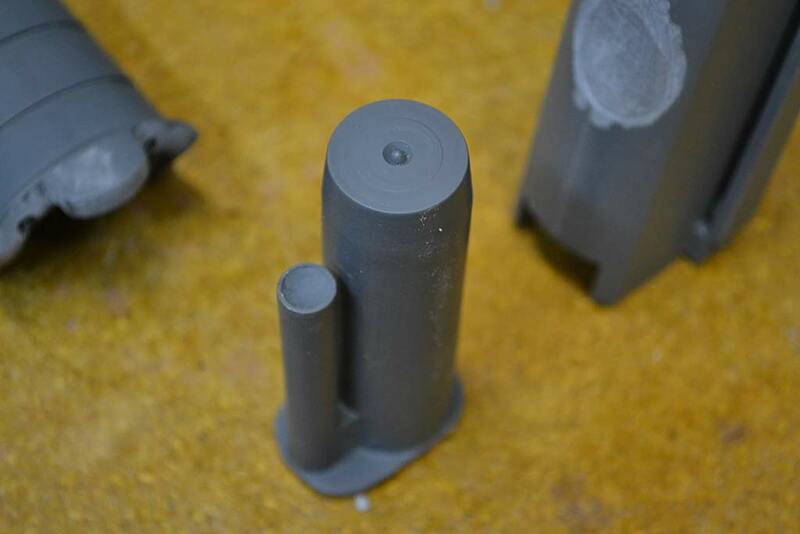 The bolt and dummy round shown in the photos have been chrome plated but will be shipped as blank resin pieces. 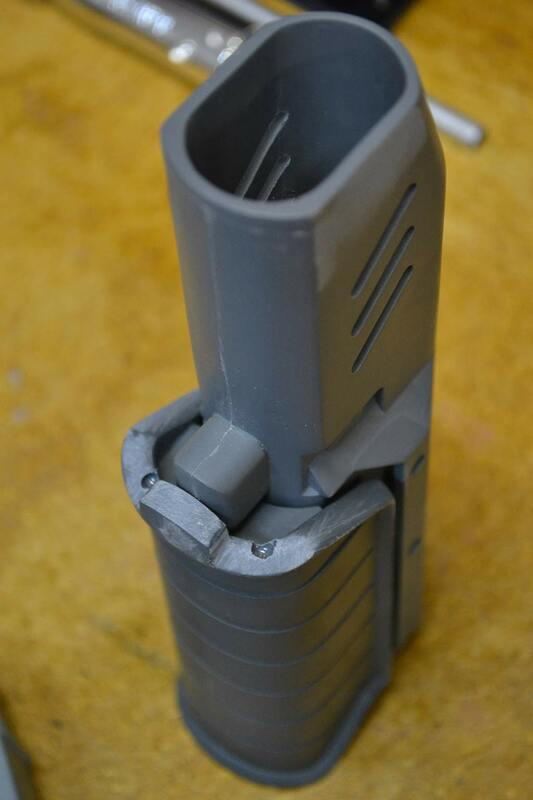 The slot for the trigger as well as the hole in the barrel will need to be drilled out as these were not part of the original molds. Pictures tell the story, so check out the gallery for more info! Also included but not pictured will be a set of laser cut acrylic inserts for the “Militech-Inc” logos featured on the sides of the gun and magazine as well as a set of laser cut stencils for applying the warning labels and side graphics. Click here for the Militech Crusher design and build log.